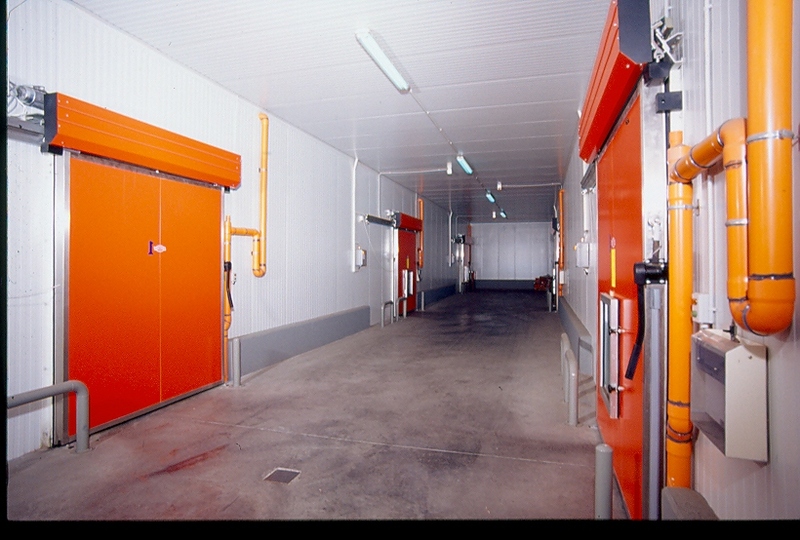 FORIS INDEX designs and manufactures leading industrial type doors for use in cold storage chambers, cooling and distribution of large dimensions. Main feature of these doors is the construction of the door panel by a perimeter frame made of stainless steel (AISI 304) 1.5 mm thick with satin finishes and mounting at counterframe with sill of hard white fiberglass 5 mm thick or stainless steel (AISI 304) thick 2 mm. 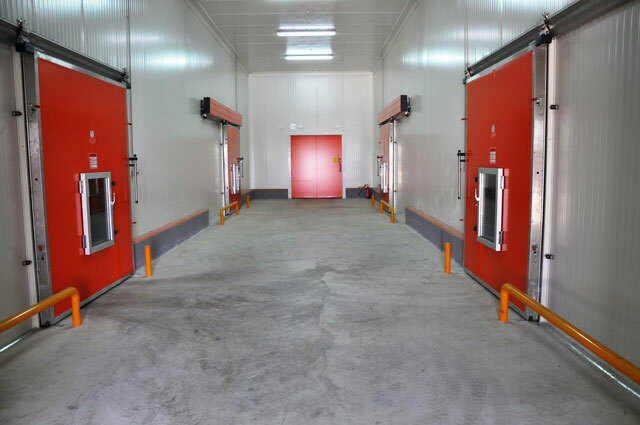 The different ways of working (hinged or sliding), different conditions chamber installation (maintenance, freezing, tunnel) and the choice of materials give the ability to easily adjust the door to customer requirements. 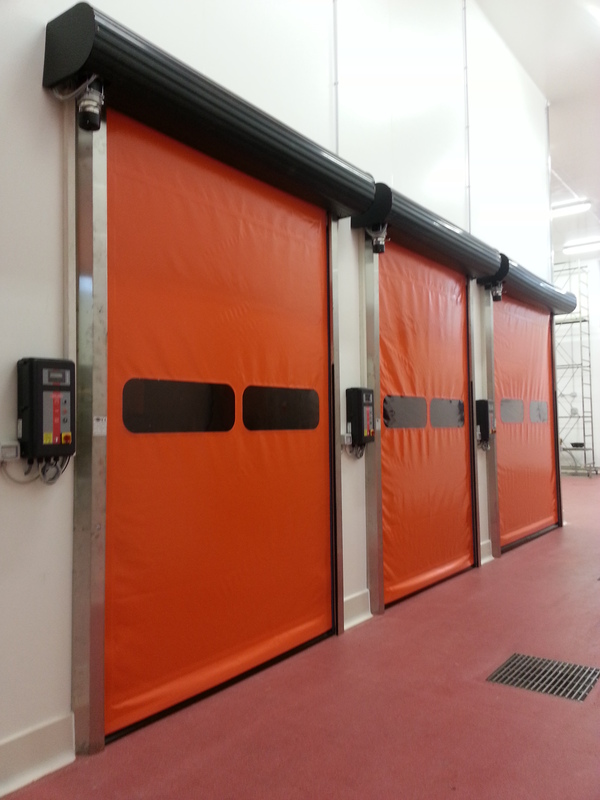 For larger areas (up to 20m2) we resort to special solution of double doors. 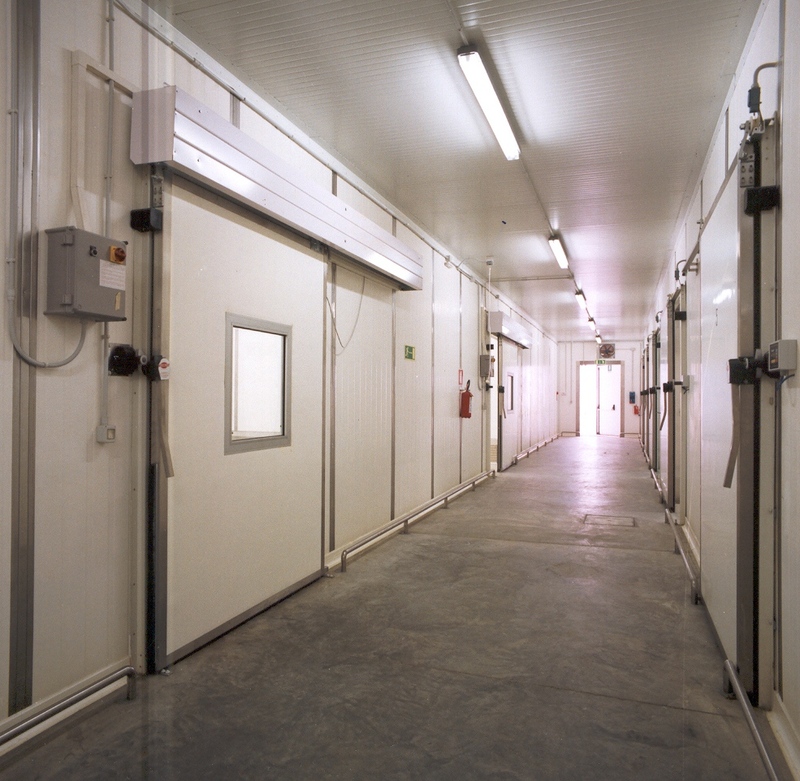 There is also the door type FI99D with overhead rail passage for chambers with handling meat counterparts. 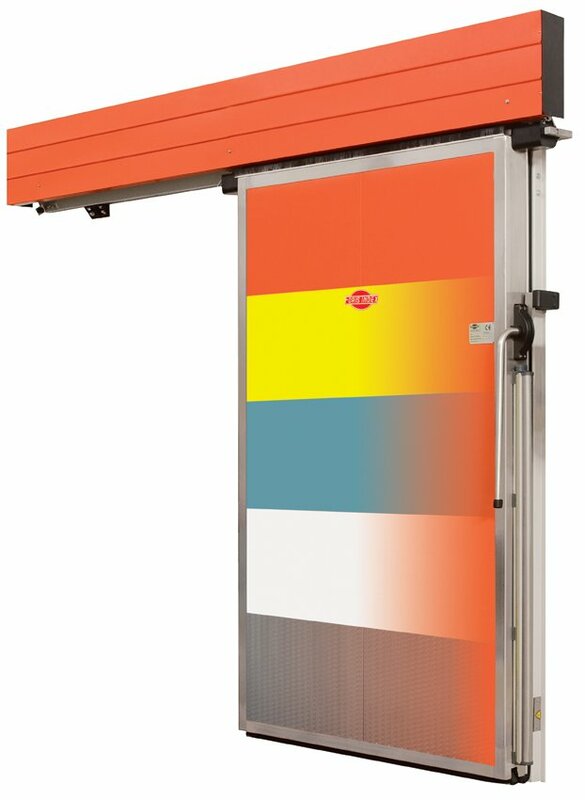 For all sliding type doors there is available automatism opening consisting of motor with chain drive, control panel, beacon transmitter signal and protective metal cover of the mechanisms. Big advantage of Industrial sliding door is the ability to change the direction of motion and the easy conversion from manual to automatic. 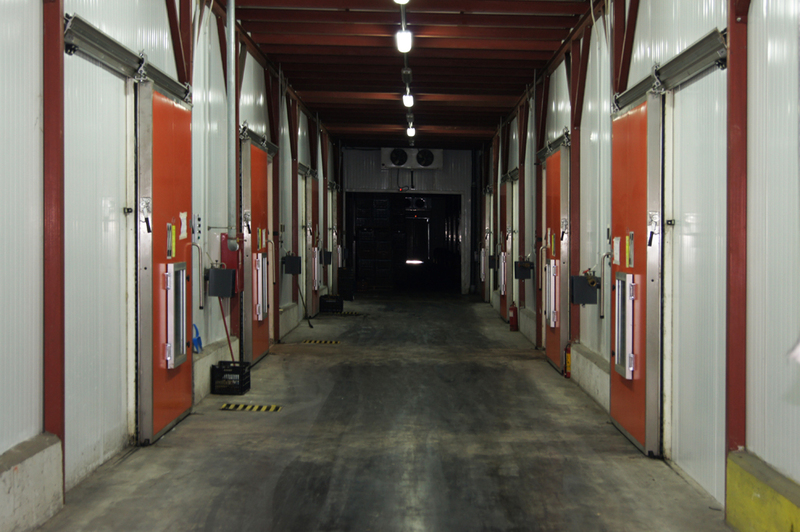 For larger areas (up to 8,32 m2) we resort to special solution of double doors. The hinged-opening type doors have hinges INOX and exterior-interior handle of modern design. There is also the possibility for mounting overhead rail passage for chambers with handling meat counterparts. 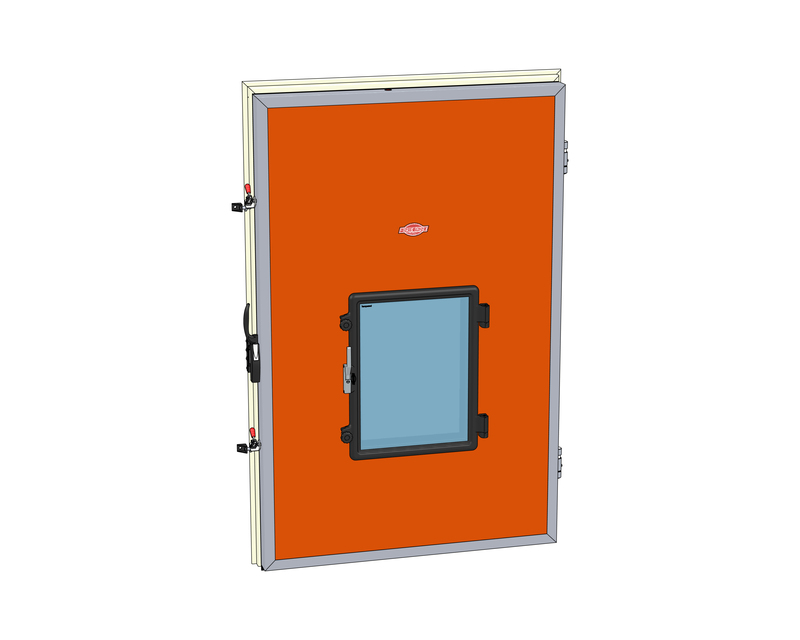 Depending on the temperature conditions of the chamber the door will be fitted , the technical characteristics (thickness, gaskets, resistors) of the door panel vary. Additionalyl strip-curtains are available for better thermal protection of the chambers during opening phase of the doors. 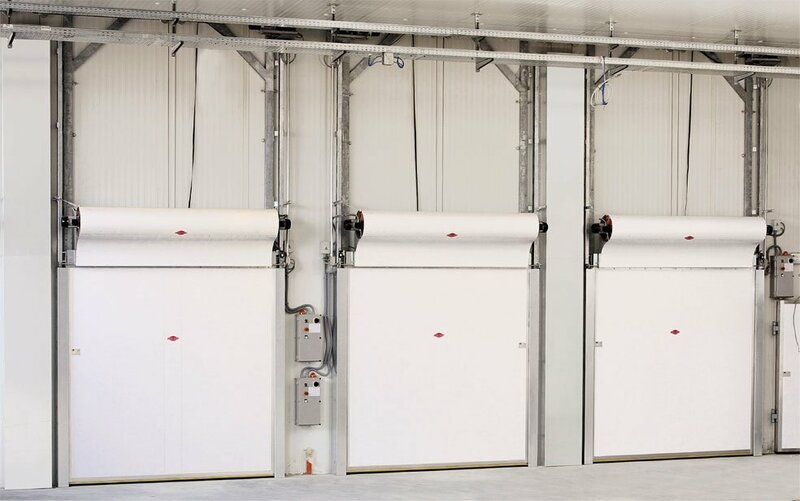 The great experience of FORIS INDEX in manufacturing and supplying refrigerating doors for cold storage doors gives us the ability to offer important solutions to various special doors depending on customer’s and project’s requirements. 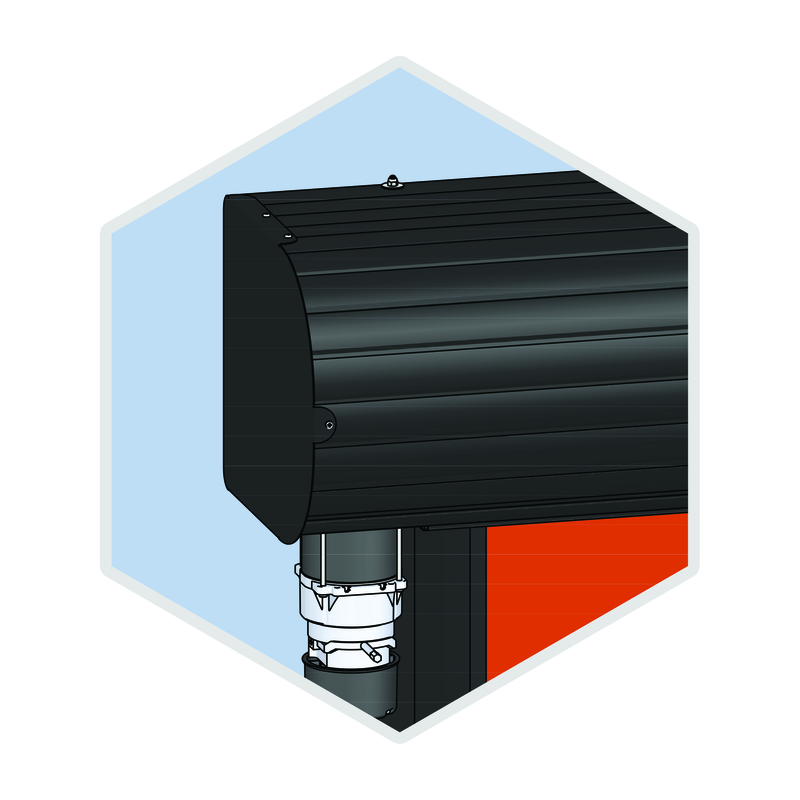 Doors Flip-Flap FI VV for use in installations where the high workload movement requires fast and immediate opening of the chambers. 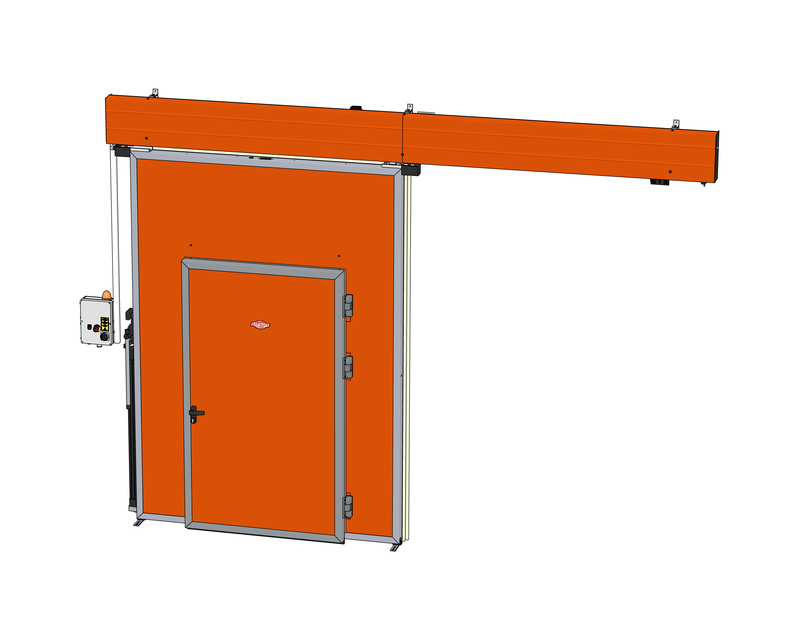 The doors may be with single or double leaf consisting of panels with integrated window oblo oval 300 x 600 mm and under protection bars on each sheet. They also have metal double action hinges with returning spring and are placed in stainless (AISI 304) steel tubolar counterframe with satin finishes. Additionally there is the possibility for mounting rail overhead passage for installation at areas with meat handling. 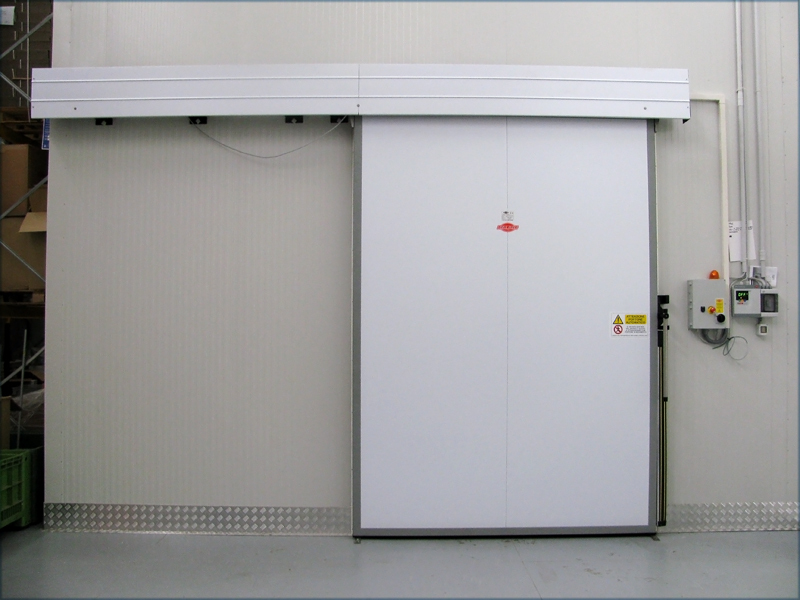 Rapid Lift Doors FI A01 for use in installations where frequent movement forklifts or other machinery requires a fast and automatic opening of spaces. The doors are made of self-extinguishing polyester material in various colors which moves through special hinges in plastic profiles within vertical profiles of black aluminum. The maximum dimensions of construction are: 6.000mm (width) * 5.500mm (H). The automation via motor comes with control panel with LCD and safeguards with motion sensors. 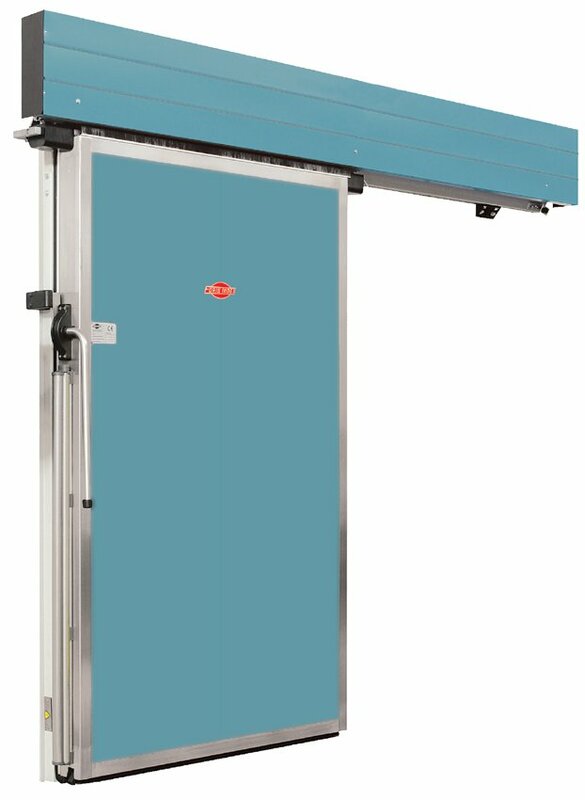 Finally, the doors can be self-repaired in the event of accidents when the sheet is knocked and got out of the vertical motion profiles. 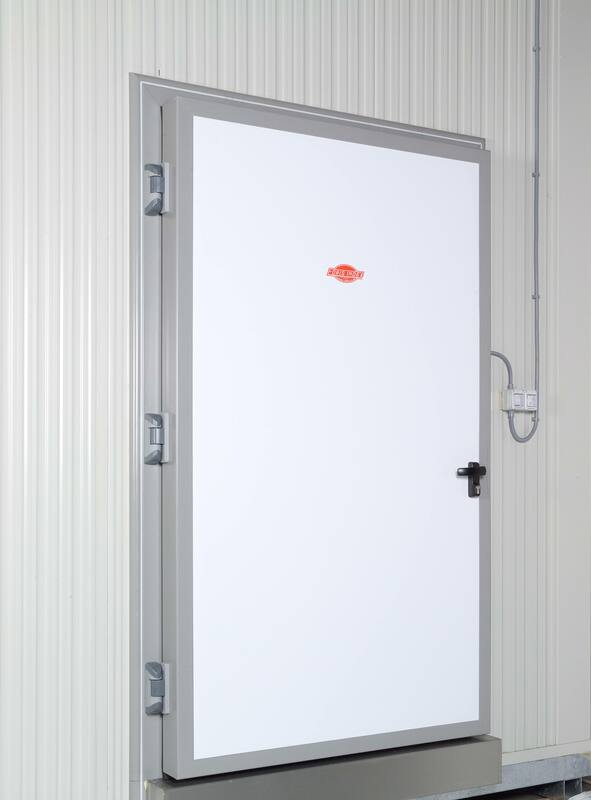 FORIS INDEX designs and manufactures commercial doors type FI 80-125 for use in cold storage chambers, cooling and distribution of small dimensions, shops and supermarkets. 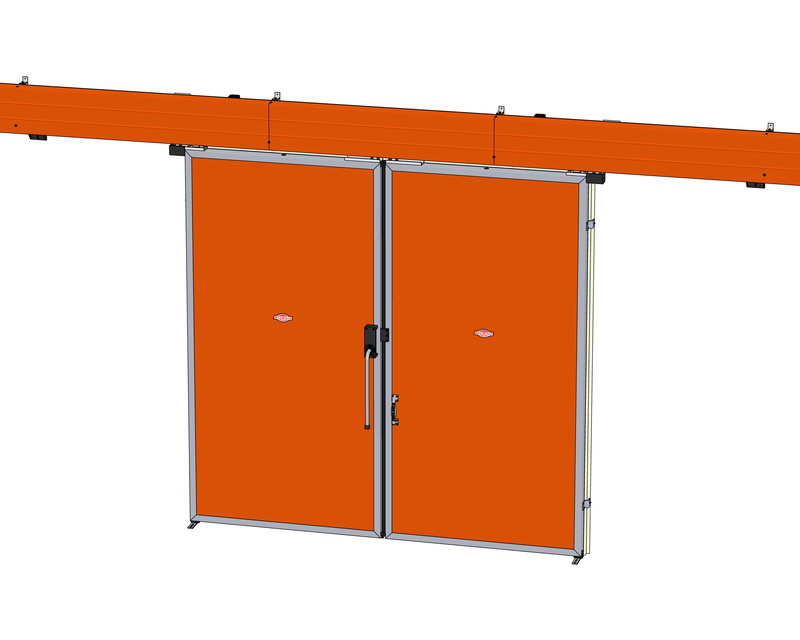 The doors are available with panels with perimetrical frame of durable hygienically PVC profile and counterframe frame with sill of corresponding material that adapts easily to panels or walls and is resistant to low temperature conditions. 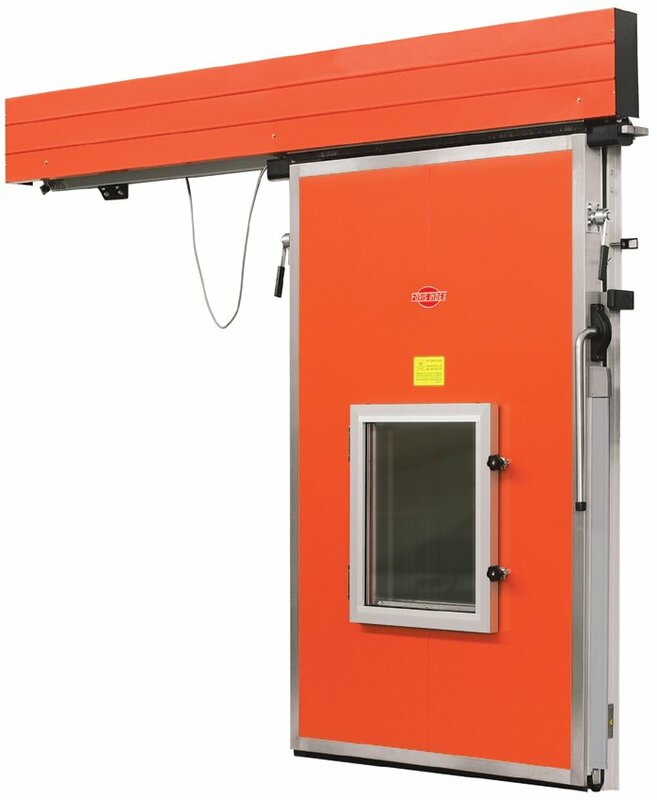 The different ways of working (hinged or sliding), different conditions chamber installation (maintenance, freezing) and choice of material gives the ability to easily adjust the door to customer requirements. There is also the possibility for mounting overhead rail passage for chambers with meat handling both for sliding and hinged type doors. 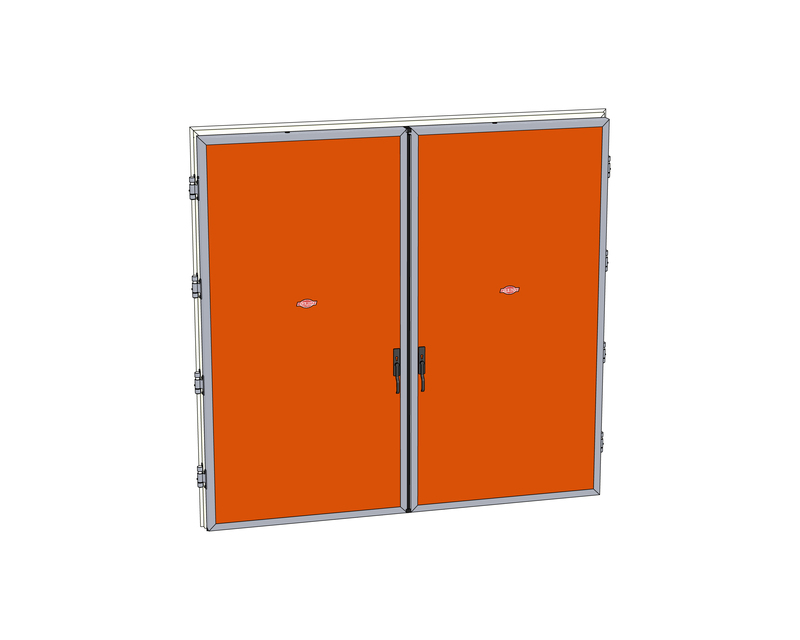 The hinged type doors feature high-strength PVC hinges and exterior-interior modern design with handle lock. Depending on the temperature conditions of the chamber the door will be fitted the technical characteristics (thickness, gaskets, resistors) of the door panel vary. Additionally strip-curtains are available for better thermal protection of the chambers during opening phase of the doors. 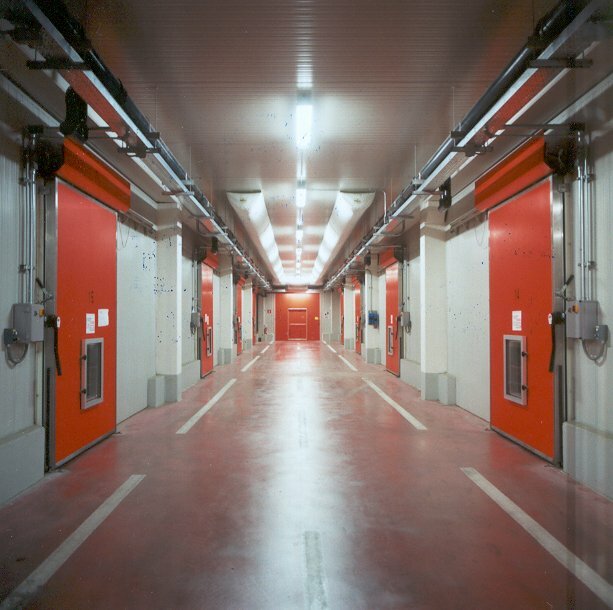 FORIS INDEX pioneer in Controlled Atmosphere area presents the leading doors industrial type FI 91D for use in their respective chambers. Main feature of these doors is the construction of the panel by a perimeter frame made of stainless steel (AISI 304) 1.5 mm thick with satin finish and mounting at frame with sill of hard white fiberglass 5mm thick or stainless steel (AISI 304) 2mm mm. 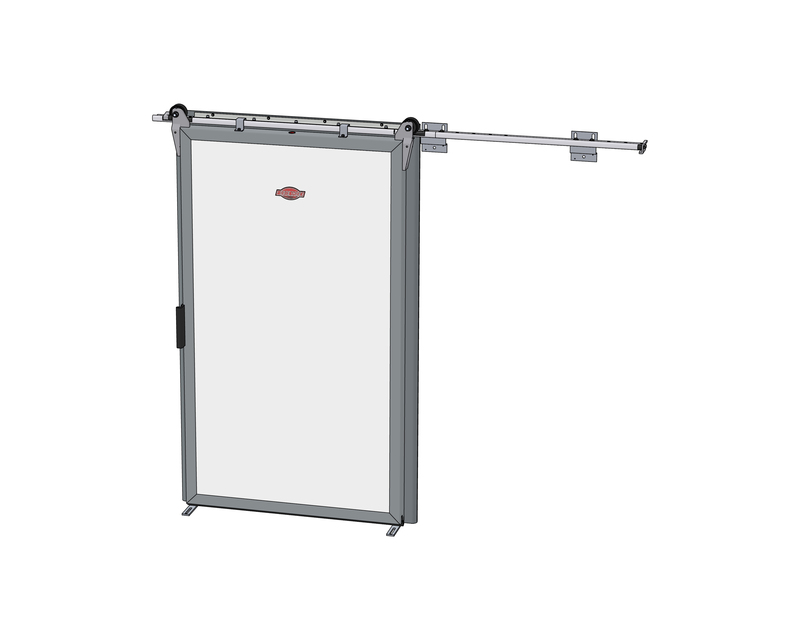 They also have the big sliding guide helping to perfect operation even at situations of sliding manually doors with large dimensions. Moreover doors are equipped with a control window with lock of size 550 x 750 mm having frame in anodized aluminum and double crystal. 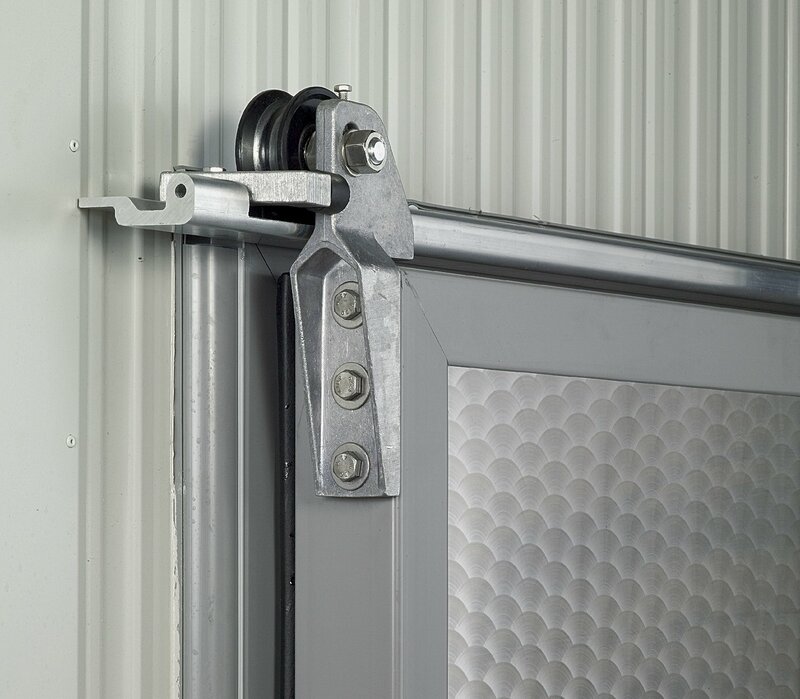 Additionally, at the sides of door panel there are eccentric hook fasteners to achieve a complete hedge against gas leakage. The different ways of working (hinged or sliding), the variety of colors and choice of materials give you the ability to easily adjust the door to customer requirements. 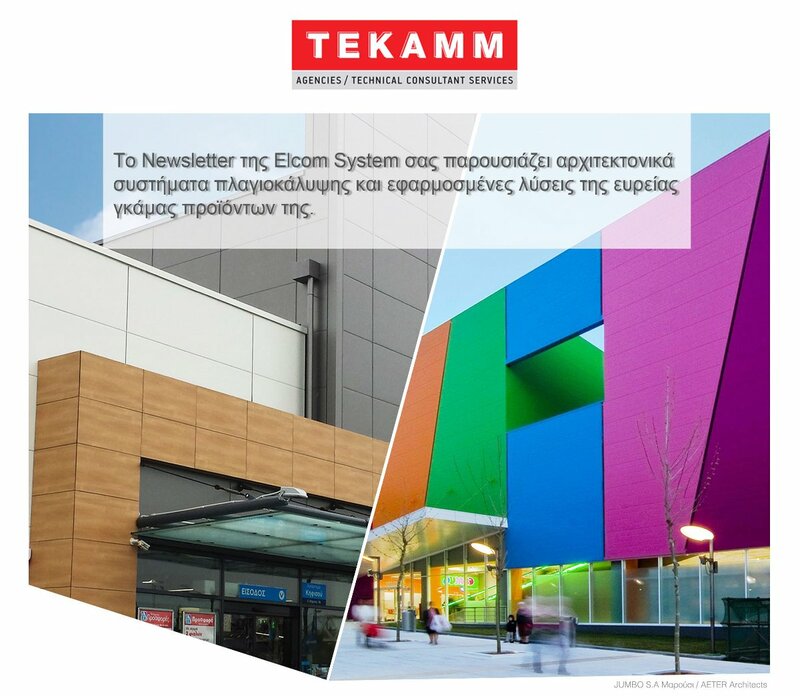 For all sliding type doors is available opening automatism consisting of motor with chain , control panel, beacon transmitter signal and protective metal cover of the mechanisms. 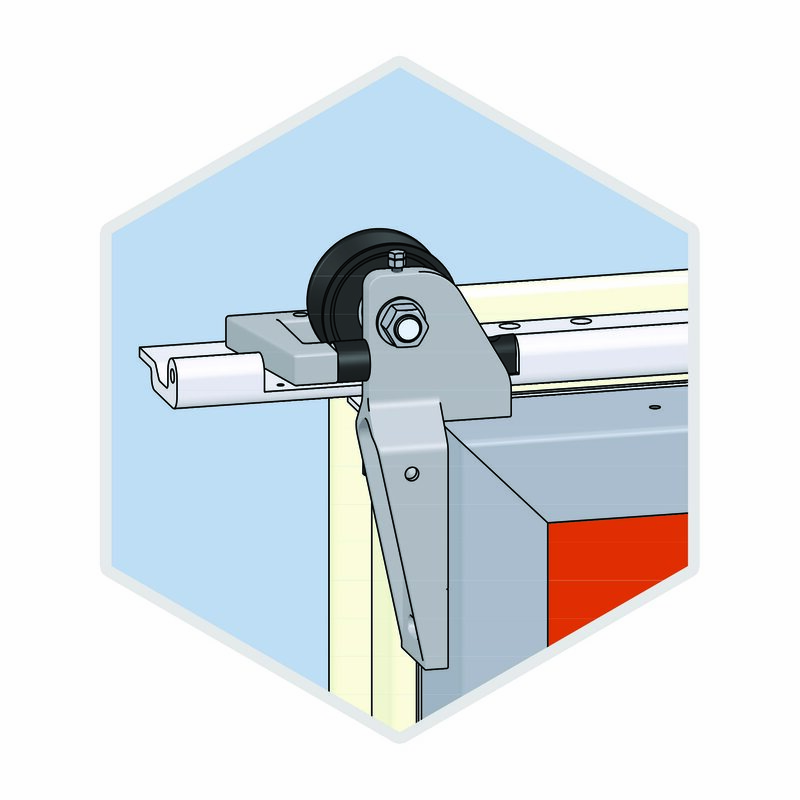 Big advantage of Industrial sliding door is the ability to change the direction of opening and the easy conversion from manual to automatic. The hinged type doors have hinges made by INOX and exterior-interior handle of modern design. Additionally strip-curtains are available for better thermal protection of the chambers during opening phase of the doors. 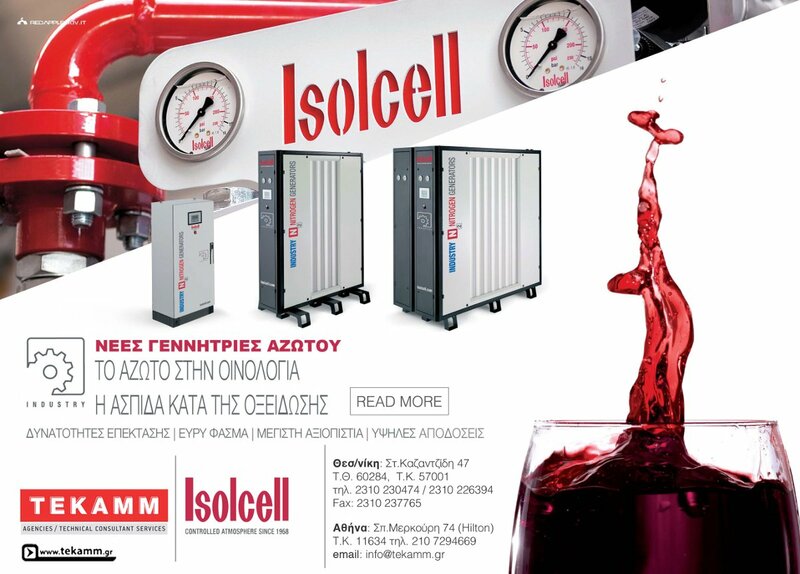 FORIS INDEX always in the best interest of their clients presents the new doors Hybrid type FI 11A offering another option in the economic range of the production programme. 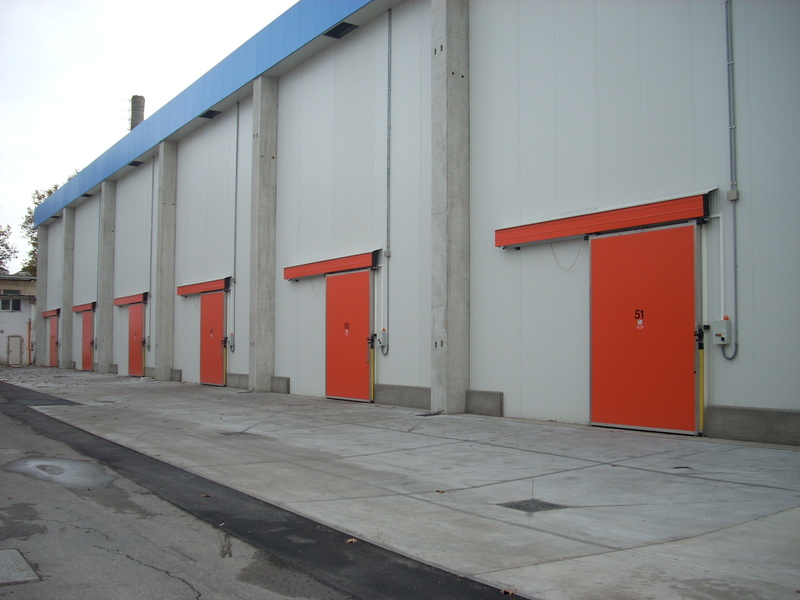 These doors can be used in cold storage chambers, cooling and distribution as an alternative proposal in relation to the industrial type doors. 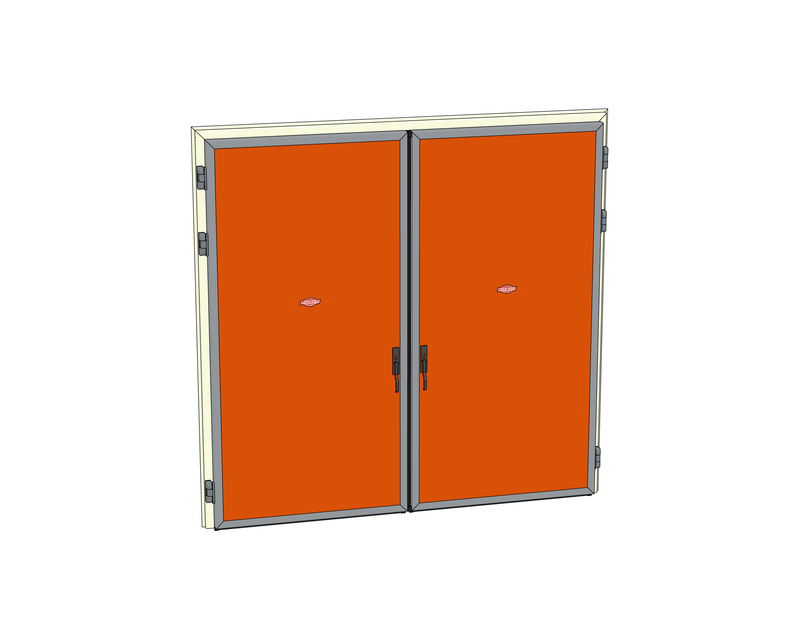 Main feature of these doors is the use of the refrigerant panel of commercial doors and the placement of it at the frame with door sill of the industrial type made of hard white fiberglass 5 mm thick or stainless steel (AISI 304) 2 mm thick offering a guaranteed result. 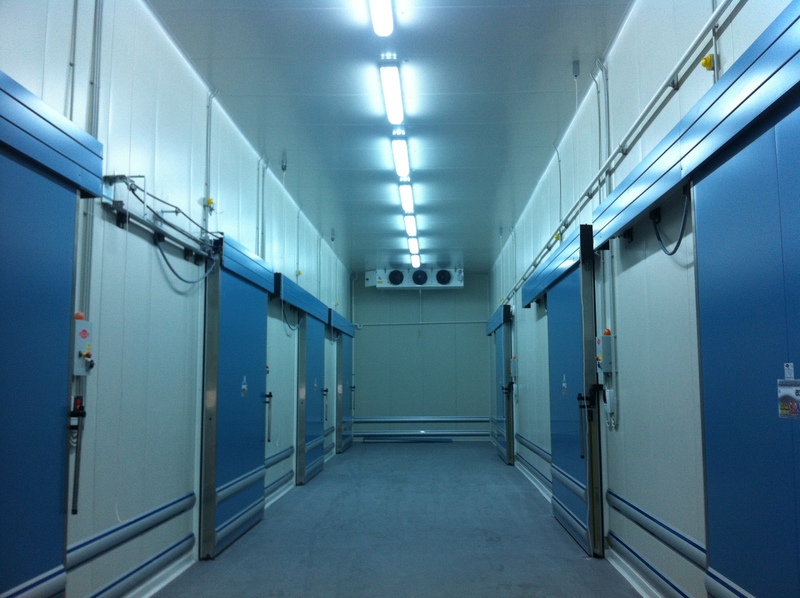 The different ways of working (hinged or sliding), different conditions chamber installation (maintenance, freezing , tunnel) and the choice of materials give the ability to easily adjust the door to customer requirements. 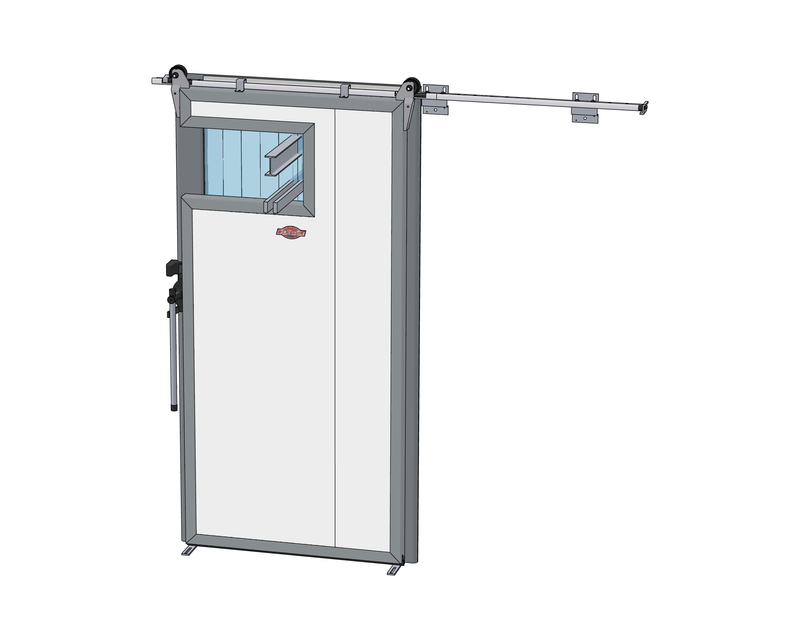 For sliding-type doors is available opening automatism consisting of motor with chain, control panel, beacon transmitter signal and protective metal cover for the mechanisms. The hinged type opening doors feature high-strength PVC hinges and exterior-interior of modern design with handle lock. 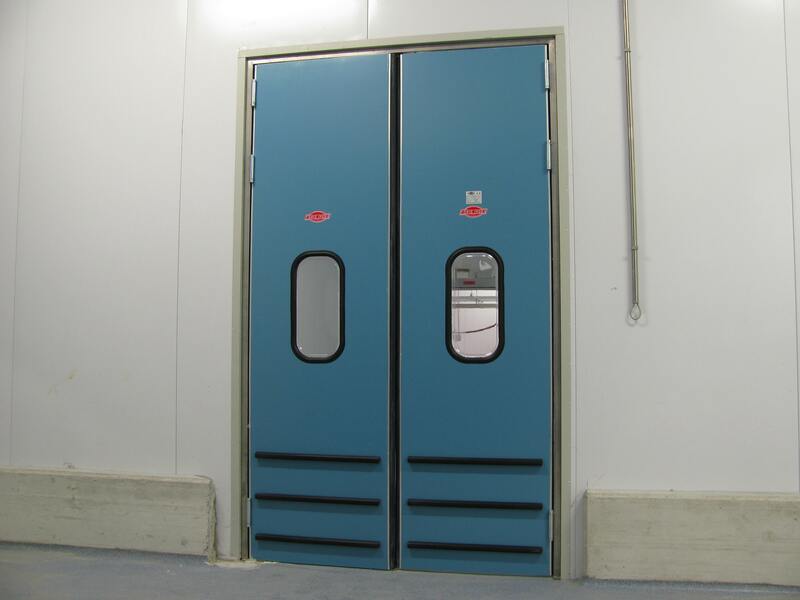 Depending on the temperature conditions of the chamber where the door will be fitted , the technical characteristics (thickness, gaskets, resistors) of the door panel vary.